Eric Maskin is the Adams University Professor and Professor of Economics and Mathematics at Harvard. He has made contributions to game theory, contract theory, social choice theory, political economy, and other areas of economics. He received his A.B. and Ph.D. from Harvard and was a postdoctoral fellow at Jesus College, Cambridge University. He was a faculty member at MIT from 1977-1984, Harvard from 1985- 2000, and the Institute for Advanced Study from 2000-2011. He rejoined the Harvard faculty in 2012. He has served as editor of the Quarterly Journal of Economics, Economics Letters, and the Economic Theory Monograph Series (World Scientific Publishing) and as associate or advisory editor of several other journals. He is on the board of trustees for the J.S. Guggenheim Foundation, and on advisory boards for the Higher School of Economics (Moscow), the Center for Rationality (Hebrew University), the Toulouse School of Economics, and the Tsinghua School of Economics and Management (Tsinghua University). He is a past president of the Econometric Society and the Game Theory Society and president of the Society for the Advancement of Economic Theory. He is the director of the Jerusalem Summer School in Economic Theory. 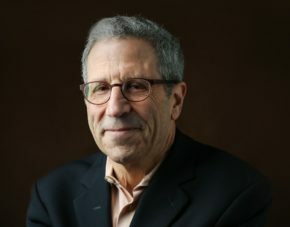 He is a member of the National Academy of Sciences, and a fellow of the Econometric Society, the American Academy of Arts and Sciences, the British Academy, the European Economic Association, the Royal Spanish Academy of Economics and Finance, the Society for Economic Measurement, and the Society for the Advancement of Economic Theory. He is an honorary fellow of St John’s College, Cambridge, Jesus College, Cambridge, and the Royal European Academy of Doctors. He is an honorary professor of fifteen universities and the recipient of sixteen honorary doctorates. Among other prizes, he has received the Kempe Award in environmental economics (with P. Dasgupta), the EFR-Business Week Award, the Grande Médaille from both the cities of Marseille and Toulouse, the Harvard Centennial Medal, the Medal of Honor from the Congress of Peru, the Cristóbal Gabarrón Foundation International Award in Economics, the Louise Blouin Foundation Award, the Jean-Jacques Laffont Prize, the James Joyce Award from University College, Dublin, and the Nobel Memorial Prize (with L. Hurwicz and R. Myerson).